Have you ever been turned down when buying a house or leasing a car? How about simply applying for a credit card or trying to obtain a small loan? The culprit is often poor credit. Let’s face it – a good credit score is imperative to obtaining some of life’s necessities. Fascinatingly, very few people actually make the effort to check their credit score until they are ready to make a big purchase, not realizing that a credit score can deteriorate because of something as simple as a late or missed payment. Whether you are a new college graduate who is just starting out or someone who has had a few hiccups ruin their credit rating, you deserve a second shot and a chance to build your credit. While rebuilding ruined credit may take some time and persistence on your part, it is most definitely possible. One way to do so is to obtain a Secured Credit Card, where the security deposit you put on the card essentially becomes your credit limit. While this may be a great option for some people, always be diligent about shopping around and reading the fine print; some cards charge an application fee, others may charge annual fees that vary dramatically, and some cards may even force you to buy a monthly insurance policy which ends up consuming your security deposit altogether. 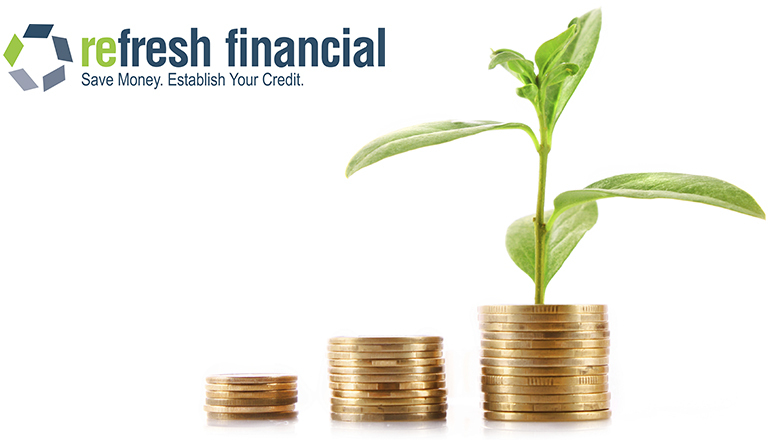 Another noteworthy alternative to building your credit is obtaining a Secured Savings Loan through Refresh Financial (www.refreshfinancial.ca). The whole premise behind Refresh Financial is to enable their customers to build their credit while automatically saving money each month for a rainy day. The application process is extremely simple and can be completed in as little as ten minutes. Refresh Financial approval rates are exceptionally high and loan approvals (up to $5,500) are generally provided within just 24 business hours. There are several options to fit any budget, and each lets you save money for a more secure financial future. While a secured credit card requires start-up cash (typically $500 or more), Refresh Financial requires no up-front cost to begin the program. Like any loan, there is an administration fee, but it is worked into the payments so anyone can begin the program at any time-- without having to put down a sum of money first. Most individuals applying for a secured savings loan through Refresh Financial have declared bankruptcy in the past and are now looking to slowly rebuild their credit while putting some cash aside for unexpected expenses. However, the service is also appropriate for those who have impaired their credit score through past delinquency on loans or credit cards, those who have no active credit, and those who have had a past collection. Interestingly enough, customers are actually allowed to access their built-up equity mid-term if they so wish. The company also lets you check your credit score through their website for only $14.95. As always, it is your responsibility to ensure you’ve completed your due diligence before deciding on the best solution to build your credit. Remember to pay attention to interest rates and any embedded fees and/or deposits. When you do finally decide on the best alternative, make sure to always pay on time and in full by the due date. If you are unsure about your credit score and would like more information, please contact a credit bureau and ask for your personal credit report – this inquiry does not affect your credit score. There are many options out there to build your credit – it’s up to you to read the fine print and shop around before signing on the dotted line.